The cats had a satisfying Christmas. Thanks for asking. Hope everyone has a terrific New Year's celebration. Consumer Reports magazine has a section at the back called "Selling It" that pokes fun at the warnings or advertising used for products. I should definitely send in this one. About a month before Christmas, I bought a travel mug as a gift and wrapped it up, looking forward to the day it was unwrapped and admired. The handsome brown mug has a no-skid bottom and an aluminum insert so the hot beverage doesn't taste like plastic. 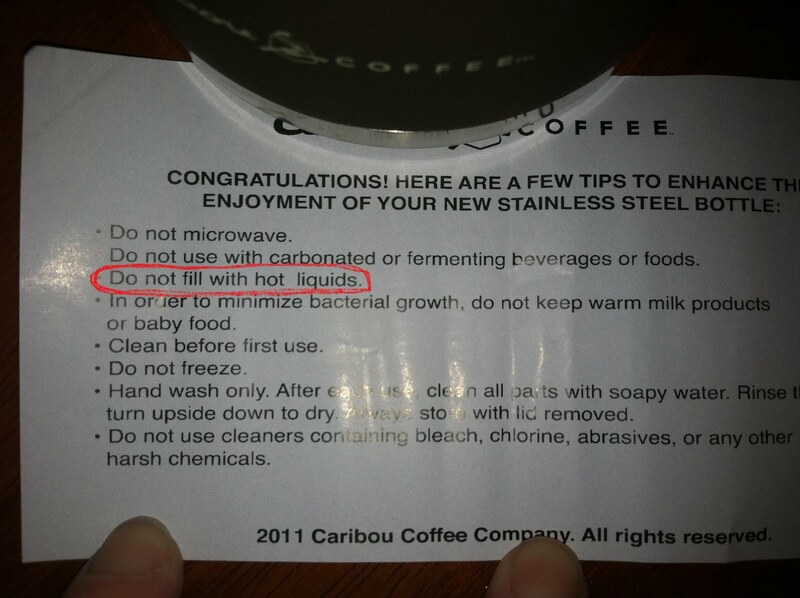 Then we opened the mug and saw the instructions. 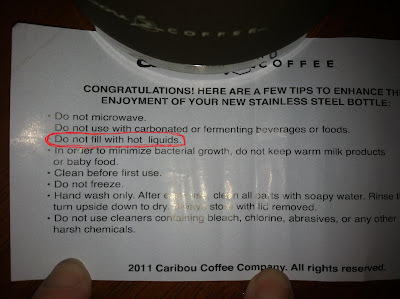 I'm not sure how helpful this mug will be for drinking coffee or tea when it can't be filled with hot liquids. Our downtown library, voted the best in the country, puts up a holiday train display. Kids just stand and stare, unable to move on from the display. Here are some close-up details. And from the top as we climbed the stairs, we saw a waterfall on display too. Hope you all have a marvelous Christmas, if you celebrate, and a peaceful New Year. Well, it's our darkest hour, not in the sense of doom and gloom, just in the sense of how much light we have. Today is officially the winter solstice -- the day we have the fewest hours of daylight in the northern hemisphere. Good thing all those Christmas lights are turned on. Some people dread the coming months of winter as the holiday season ends and the long, shrill month of January begins. Then February, the shortest month of all, seems to last forever as gray days drag on. Both those things are true about January and February, but what is also true is that each morning, the sun peeks above the horizon a little earlier, and each evening it lingers in the western sky a few minutes longer -- starting now! Okay, it's a small hope to hold onto, but if it helps me survive the winter while rejoicing in each extra moment of daylight then so be it. Enjoy your winter solstice and the coming extra minutes of daylight. I have to say I've been a little discouraged lately about giving. You may recall that one side of the family decided to give gifts to a needy family rather than exchanging gifts with each other. For some reason, even though this wasn't my idea, I became the point person to find a family and organize the gift buying for them. The family, with three kids, does not have heat in their apartment. So after the toys were purchased, I suggested we all donate the rest of the money we would spend on each other toward their gas bill to get heat. Let me just say that none of us spent as much on the family as we would have on each other, but the person who spent the most is probably the one who earns the least. I was feeling discouraged about the goodness of wealthy people. Maybe people who have more, give less. Then, just this week, I asked the basketball team families if they would be interested in helping a local family who has fallen on hard times. The family with four kids have been living on mac n cheese for 3 months and have only one inexpensive gift for the entire family on Christmas morning. It's a puppy, so the parents hope to maintain some Christmas surprise and excitement. I felt so bad though, and also felt like many of us could slide into this kind of trouble if one spouse lost a job. So I sent an email to the basketball families and told them that a local family needed their help, without actually naming the family. Many of the basketball families immediately responded that they would donate gift cards for Christmas gifts and stocking stuffers. Then on Saturday while I was at a swim meet, Grace called me to say a man she didn't know stopped by and dropped off a 100 dollar bill for the family in need. I couldn't believe it. I thought people would donate $25 gift cards to the local grocery stores, not 100 dollar bills. I stared at the 100 dollar bill and imagined how thrilled my friend will be to buy some gifts for her kids. Then on Sunday, I drove to my brother's house to visit my parents. When I got home, I found a little stocking with a gift card in it. The gift card to Walmart was for $300. $300!!! Someone donated a $300 gift card to the family. So these basketball families have given me hope that even people with money are generous and want to help those who are in need. 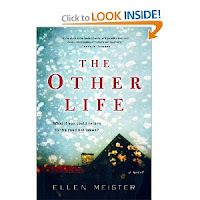 I featured The Other Life by Ellen Meister last Tuesday for First Paragraph and Tuesday Teaser. I finished it this morning before the boys got up for school, and I loved it. When I first read the premise, the main character has a parallel life that is living with the opposite decisions that she made, I thought, "Oh, I love these kinds of books, like Sliding Doors." I did like that movie, but when I think about alternative lives, I have to consider a movie like It's A Wonderful Life and the book A Christmas Carol by Dickens, both of which I don't like. So my opinion on The Other Life was up in the air. I could love it or hate it. Quinn lives in a New York City suburb with her husband, son and a baby on the way. She knows her parallel life includes the man she broke up with for her current husband. When she finds out that the baby she is carrying has major birth defects, she is tempted to visit that other life, where the decisions are simpler. Also tempting her is the fact that her mother is still alive in that other life. This is a book that encourages people to think about the past decisions that led them to this spot in their lives and evaluate if they would do the same things again. It deals with marriage, needy men, mother/daughter relationships, motherhood and friendships. As the hectic holiday season is upon us, we all need something to steady us, help us remember the improtant things in life. So I've borrowed a picture from my husband's winter camping trip. What are you strategies for staying sane in the holiday season? There was a time when I probably enjoyed debating deep philosophical questions. But that time has passed. I'm much more shallow now. Deep questions make my head hurt, like graphing calculators do. So you can imagine how concerned I am that Spencer and his friends have embraced the writings of Albert Camus and existentialism. It seems incongruous to me that guys who love to mix it up on the basketball floor and compare the size of their biceps spend hours sitting in a friend's garage discussing existentialism. I think I can blame the existentialist movement throughout our small town garages on the Senior English teacher who assigned "The Stranger" by Camus. Spencer declared it a good book. So I racked my brain to remember some of the ideas of existentialism, which was espoused in Europe in the 40s and 50s by people like Jean Paul Sartre. The current existentialist ideas, I think, relate to today's hipsters. Spencer would probably argue this point, but it would make my head hurt and I wouldn't contine after a few minutes. I fear that part of embracing this philosophy comes from the fact that one of the boy's older brother's commited suicide this fall. The boys are probably trying to find some answers and excuses for why this happened. Online, I find a debate about whether hipsters are existentialists, but from my point of view, hipsters are people who are determined to declare everything in life boring and out-of-date. Spencer is no stranger to philosophy. It was one of the subjects he chose to study when we were homeschooling. And, although he doesn't see it as a good college major, he wouldn't mind minoring in philosophy. I can picture a day when my son is speaking in terms I don't understand at all. This might be worse than basketball jargon as he talks about picks and triple/doubles. And I'll probably break down and get him a book by Sartre for Christmas. I just hope he doesn't want to discuss it with me. Okay, enough sadness on my blog. It's time to celebrate American ridiculousness. There's a pretty European-style house down the street from me. I don't like the owner because he puts up ridiculous signs warning dogs not to poop in his yard, which I think is tacky. He's taking tacky an extra step this year. Then in the evening, when Grace and I walked past on our way to Caribou, we got a picture of the house with the inflatables in full regalia. The overkill makes me laugh. I'm not overly fond of blow-up yard art anyway, but seeing it deflated during the day makes it look like everything has melted into a big puddle. Grace decided she liked one of the penguins. This little one with earmuffs, that didn't deflate during the day but stood vigil over her collapsed friends. How are your neighbors decorating for Christmas? This morning was Rini's funeral. They held it in the Greek Orthodox church because Columbus doesn't have an Eastern Orthodox church. Rini's family was from Romania a few generations ago. The Greek Orthodox church is gorgeous, but the funeral was rather dry. If you don't want people to cry at your funeral, it would be the best funeral ever. The priest chants and sings, sometimes in another language, for a good half hour while everyone stands. The incense is a nice addition though. I wondered if the incense has some special numbing power as the scent drifted throughout the church. Then the priest gave the brief eulogy. He called her Irene, which, to me, means he didn't know her at all, since everyone called her Rini. So I was dry eyed. At the end, they asked everyone to walk to the casket to pay last respects. I'm not fond of this tradition. I'd rather remember Rini as she was in life, even complaining in a hospital bed. Then, when her two sons and mother walked up to the casket, I couldn't help it. I realized they would never see their mom again and I just felt so sad. As I drove home from the funeral, I thought for a minute that I couldn't wait to tell Rini who was at the funeral and who was missing. She would probably laugh when she found out the secretary from two years ago showed up, but the chair of the department didn't. This was some juicy gossip Rini was sure to enjoy. Then I realized I wouldn't be able to tell her. Her departure leaves a hole in my life too. Thanks for your friendship, Rini. Rest in Peace. Just this morning I picked up this book and decided to read it now that my teaching break has begun. The Other Life by Ellen Meister has a teaser line on the cover "What if you could return to the road not taken?" Quinn Braverman had two secrets she kept from her husband. One was the real reason she chose him over Eugene, her neurotic, self-loathing, semi-famous ex-boyfriend, was to prove her mother wrong. She could have a relationship with a normal, stable man. Quinn took her husband's hand from her shoulders and wrapped them around her. I promise to never do it again, she thought, and tried to imagine her guilt as vapor that dissipated into the atmosphere. I hate when people get to the end of a vacation and they have to run around to visit everything the last day. The vacation isn't about the last day. It's about the entire experience and all the other days before. And that's how I have to think about life too. My friend Rini died on Saturday. She was 61 and had a son the same age as Grace. We worked together at the same college and lived in the same small town. She was diabetic and her health has always been fragile. Then she had a stroke Labor Day weekend but was recovering. No one expected her to die. I went to see her on Wednesday. I didn't think it would be the last time. Other women in the community are really torn up that they didn't make it to see Rini again, one last time. And that made me think about the last day of vacation. It isn't about getting that last visit in at the hospital. It's about all the girls' nights out and meeting for coffee and having lunch or simply going for a walk -- together. All of those moments are the ones that add up to make a friendship, and in the end, only one of you will remember the last time that you saw each other. Rini was my friend because she was caustic and witty. She offered me insights into the small town I moved into. She'd been teaching longer than I had, and we shared complaints as well as the accomplishments of our students. Another teacher told me that I had been "lovely" to Rini. But our friendship wasn't about me doing things for her. It was mutual. She might have needed me a little more lately, as she went through a divorce this summer, and when she needed someone to walk the dog last summer. But I got as good as I gave. Thanks, Rini, for your friendship. I hope you're at peace now. You will be missed, but all those moments before, will be remembered. Here's a poem by Christina Rosetti that I think talks about remembering the life, instead of the death. After three months in France, Grace returned home last night. Grace is terrified of flying, so as she walked to board the plane, she had tears running down her face. The flight attendant was alarmed and asked what had happened. She told him she was scared. He took her in to meet the pilot. She got to sit in the co-pilot's chair. He bumped her up to business class. Another flight attendant gave her a phone to use so she could call me before the plan left. They took turns coming back to sit with her during the flight. Apparently a few tears go a long way. Post Script: In response to questions and comments about the airline, I should have added that she flew American Airlines. We usually fly AirFrance, but this time American had the better deal and Grace was lucky to be amongst that crew and passengers who all supported her. You know how one thing leads to another. Nothing is ever simple. I'm learning that lesson all over again tonight. That means, I have to clean out her bedroom, a room that her younger brother claimed before her flight left Columbus. In order to clean out her room, I have to move Tucker. He doesn't want to share a room with Spencer so he'll get the basement rec room futon. He has a dresser there, but no place to hang his hoodies and the button-up shirts he has started wearing. So before I can move him, I have to figure out where to hang up his clothes. Then it hit me. I have a coat tree in my room that holds purses, scarves, belts and my robe. I can clean that off and move it downstairs for Tucker's things. I looked in my closet to figure out where to hang the robe and the scarves. Then I needed to clean the warm weather clothes out of my closet in order to make room for the things hanging on the coat tree, in order to move Tucker's things to the rec room, in order to begin cleaning Grace's room for her 40-day stay at home before she moves off to college and I'll reverse that order. I have no hopes that her room will be as clean as it was here in June 2009 when I spent three days straightening it, but I know it will be a bit more organized than Grace left it when she went to France and Tucker is leaving it as he moves to the basement bedroom. I'm going to start in there by picking up the dirty socks and the wadded up tissues. Who knows if there's still a nice wood floor under all those discarded bath towels. Really? I won that? So whenever I want, I can tap into spontaneous happiness? It's mine. I won it. Turns out, I won a book from Vicki's blog. The book is called Spontaneous Happiness and it's by Andrew Weil. So that's still exciting, although not as exciting as winning happiness. According to Amazon, the book explains that happiness comes from within, so I guess I'll never be able to win it. But the book does lay out a plan for "attaining and sustaining optimum emotional health." I'll let you know if this book hands me the key to Spontaneous Happiness. Then again, I may be too happy to write my blog any more. Like a wisp of a breeze on a still day, I feel it. Like the far away whistle of a train in the night, I hear it. Like that spot on the horizon that draws closer, I see it. I give finals today and tomorrow. Then I have to grade the finals for five classes and turn in my grades. For three weeks, I will not have to go to work. Not until Jan. 3. I can almost feel my body collapsing in a heap just at the thought. Now, I know that compared to many people, I don't work that hard. Some people are doing manual labor or standing up all day. They wouldn't complain about sitting in front of a computer answering students' emails or grading a stack of papers while munching on popcorn. And I am truly grateful for my jobs, which help pay for one kid's college and next year two kids' college tuitions. The thing is, teaching at two colleges means that their breaks don't coincide. So when one college is on spring break, the other is still having classes. And this summer when the one college took a two week break before summer quarter, the other college took the week after. I eeked out five days and darted down to Florida and back. So since last Christmas, I haven't had time when I wasn't teaching. If I'm smart, I'll go ahead and prepare for winter courses next week. Then I could have two whole weeks not to think about teaching or work. And what will I do with that time? Well, a lot of basketball and swim events, plus Christmas shopping and baking and cleaning. Plus, I plan to read a lot and take many walks to Caribou Coffee. Sometimes, maybe I will allow myself to collapse in a heap, learning a lesson from the cats. How about you? Will you have any time to relax during the holidays? For awhile now, I've been wishing that we hadn't made Grace's reservations home so late in the month. She was feeling uncomfortable staying with the French teenagers who made her feel like an imposition. I called the Airlines and they said the change fee was $250-$275 plus whatever the flight difference was. I called AAA and talked to a travel agent who said she couldn't do anything to help. Tonight though, Grace and I were both wishing we could be together, and the French teenagers emailed her to ask if she could find another place to stay next week because they have tests coming up. (You can imagine that Grace is a really noisy person who would keep them from studying.) So she messaged me in a slight panic. I'll fix it, I messaged her. I would have to bite the bullet and pay the high change fee. So I called the Airlines again. I got a man with a super deep voice and told him I wanted to find out what it would cost to change my daughter's ticket. He immediately seemed sympathetic. I asked him for a flight any time between now and Dec. 19 and the cost to change it. He searched for a minute and talked to me about his son in a private college in North Carolina. "How about Wednesday? Your cost would be $1," he said. "One dollar plus the $250 change fee?" I asked. 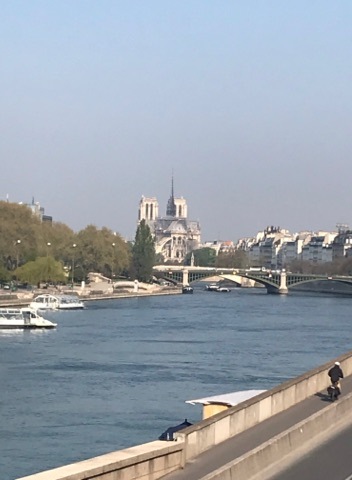 Wednesday doesn't work because Grace will be on a train back to Paris, but the helpful deep voiced man found the next available date and said, "That one's going to cost you $26." "I'll take it!" I said. And so, Grace will be home by the end of the week. Now, I just have to figure out how to tell Tucker that he doesn't get a room of his own anymore. I usually try to find something artsy or beautiful to include for my Saturday Snapshot, but this week, this display cracked me up. The picture isn't even very good, but I never thought I'd see the day when The Lord of the Rings characters, those brave and honorable men were Pez dispensers. Which then, of course, reminded me of the Seinfeld "Pez Dispenser" episode. 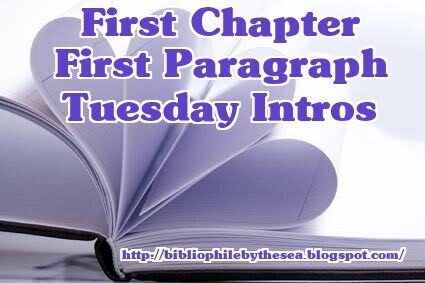 Which I can't embed in my blog, too tech inept, but you can see it at the link above. Some people use their blogs, like their Christmas newsletters, to talk about how fantastic they are. I take kind of an opposite tact on my blog, pointing out every flaw and downfall I or my children have. 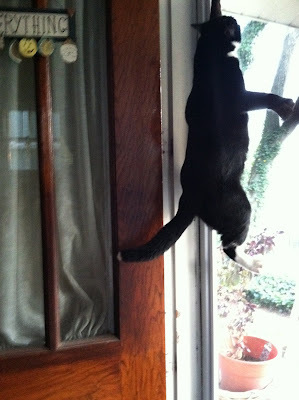 When Earl does something embarrassing, he looks at me and says, "You're going to put that on your blog aren't you?" I like to think of the blog as self deprecating. Last week when I wrote about my selfishness, that same husband of mine said I was too hard on myself. So I promised to write about a virtue. And here it is: The Virtue Post. I teach college, so I have a lot of opportunities to influence young minds. I teach at an inner city college, so most of the students have life experiences that I could never dream of. One thing I do is try to convince the students that with education comes responsibility. I give them extra credit if they vote in elections. This year, using an idea I got from another blogger, Peppermint PhD, who also teaches college, I offered my students extra credit if they brought in two non-perishable items to donate. I drove to Mid-Ohio Food Bank today and donated the mostly canned food. The guy said we turned in 42 pounds of food. I'm not sure if that's a good number or not, but it gives me something to try to beat next time. The Mid-Ohio Food Bank has a huge warehouse. It's sad to imagine how many needy families need extra food, especially during the holidays when kids can't get meals at school. I hope you'll consider donating too.